You are here: Home / LIFESTYLE / Your Home / Do You Need an Owner Builder Defect Report? Do You Need an Owner Builder Defect Report? When it comes to selling a property you’ll quickly realise that there is a lot more involved than putting up a ‘For Sale’ sign and waiting for the offers to roll in. Property sales are tightly regulated in Australia to offer protection to both buyers and sellers, and whilst they are necessary, they can also be confusing. A common example of this relates to an Owner Builder Defect Report; you may have heard of this before but still have unanswered questions surrounding its purpose and requirements. Were you the owner builder? What exactly is an Owner Builder Defect Report? Can you complete the report yourself? And when is this report actually necessary? You may be surprised by the answers. Were you the owner builder? An owner builder classification doesn’t necessarily mean that you built or renovated your home using your own two hands. According to Consumer Affairs Victoria, an owner builder can be a registered builder who does work on their own property, an individual who builds or renovates their own home, or a homeowner who engages sub-contractors to do the work on their behalf. So, you could be an owner builder even if you never actually picked up a hammer or nail. If you were the owner builder on the project, then you will be listed as such on the Building Permit. What exactly is an Owner Builder Defect Report? An Owner Builder Defect Report is an official document thatis included as part of a property’s Section 32 (a legal document that includes information specific to the property for sale). The report is completed after a thorough inspection of the property has taken place, and it will note down any uncompleted works, second-hand building materials or defects that may be present because of past renovations or extensions carried out by owner builders. This helps a purchaser to make an informed decision about the property they are looking to buy. Common projects completed by owner builders include the construction of decks, pergolas or carports, kitchen and bathroom renovations, extensions or even just the installation of retaining walls out in the garden. Can you complete the report yourself? Since you were the owner builder it may seem logical that you would complete the Owner Builder Defect Report yourself (after all, you know what work was done and what materials were used). However, the purpose of this report is to provide unbiased information to potential buyers, so a report completed by the owner builder would hardly be fair. Instead, the inspection and report should be carried out by a prescribed practitioner who understands the regulations and can provide an impartial assessment. When is this report necessary? 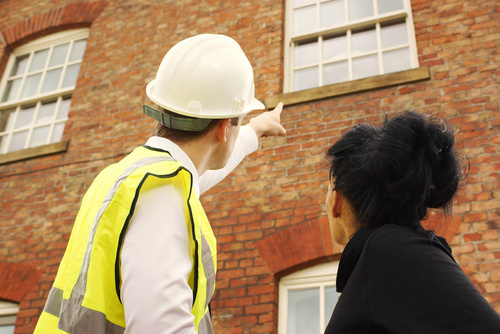 An Owner Builder Defect Report isn’t required for all building or renovation work that has ever been completed at the property, only the more recent works. Section 137B of the Building Act 1993 states that any property sold within six years and six months of the building or renovation work being completed must have this report included as part of the Section 32 document. It also states that the report cannot be dated more than six months prior to the date of the sale. If a current Owner Builder Defect Report is not provided to the property buyer as part of the Section 32 document, then the buyer has the right to renege on the sale without being penalised. Do I need to take out an insurance policy as well? If the building or renovation work was completed in the last 6 years and cost over $16,000 then you (as the owner builder) will need to obtain a domestic building insurance policy. This policy is designed to protect the buyer in case the work that was completed develops defects after the sale of the property. Generally, defective work is the responsibility of the owner builder for six years (two years for non-structural issues) after the construction is completed. But in the event that the owner builder disappears, goes bankrupt or dies, the insurance policy will make sure that the defects can still be rectified at no cost to the owner. But this insurance policy can only be issued on presentation of a valid (not older than six months) Owner Builder Defect Report. If you’re still unsure about whether or not you require an Owner Builder Defect Report, or you would like additional information about the procedure for obtaining one, then it can help to speak directly with an experienced and prescribed practitioner. This will allow you to ask all the questions you want and discuss your specific situation in detail. Although it can seem daunting at first, getting an Owner Builder Defect Report is really a simple process and one that can save you a lot of time and trouble in the future.